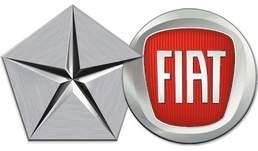 DETROIT -- Fiat S.p.A. has raised its stake in Chrysler Group by 5 percent to 58.5 percent, meeting a final target set by the U.S. government as the two groups move closer to creating one of the world's leading automakers. Fiat has managed Chrysler since a 2009 bailout deal with the U.S. government when it paid around $2 billion for its majority stake and agreed a number of conditions to be met before a full merger could take place. Sergio Marchionne, CEO of both groups, has made Fiat one of Europe's top turnaround stories and wants to elevate the company to a global player through Chrysler. "The acquisition of a further 5 percent of Chrysler is a fundamental step in completion of the integration between our two groups," Marchionne said in a statement on Thursday. Chrysler and Fiat said they had formally committed to the U.S. Treasury Department to produce the 2013 Dodge Dart sedan at a Chrysler plant in Illinois, the final performance event agreed with Washington in 2009. That commitment, along with proving late last month to the U.S. Environmental Protection Agency that the new Dart can achieve an unadjusted combined fuel economy of 40 miles per gallon (5.9 liters per 100km), triggered the 5 percent ownership increase. The remaining 41.5 percent ownership of Chrysler remains with a healthcare trust, called VEBA, affiliated with the United Auto Workers union. Marchionne told Reuters in December it was possible Chrysler would have an initial public stock offering in 2013 as the UAW seeks to cash out or reduce its shareholdings. "Fiat already has control of Chrysler so doesn't need to rush but it's clear integration is inevitable to be able to compete better," a source close to the matter said on Thursday. Fiat, burdened by 5.8 billion euros of net industrial debt at end-September, might find it costly to buy the VEBA stake should the trust decide to sell. Chrysler has become Fiat's chief source of strength this year, comprising two-thirds of Fiat's third-quarter profit. In December Chrysler's U.S. sales increased by 37 percent on the month and by 26 percent year-on-year. Marchionne has said his aim is to make the group one of the top 5-6 automakers in the world. The group is targeting global sales of 6 million units by 2014, a target that many analysts see as overly ambitious. "Fiat does not have the billions of dollars needed to buy the remaining stake in Chrysler," a Milan-based car analyst said. "And I don't think this is a priority for Fiat now, given it controls two-thirds of the company." But the analyst added VEBA might be forced to sell its stake sooner or later, putting Fiat in a position to seek a deal. "VEBA needs to sustain cash costs for its pensioners. It cannot keep its capital immobilised for that long," he said. In the last year, Fiat increased its share in Chrysler five times. Each increase was achieved after meeting requirements set up in its agreement with the U.S. Treasury in 2009, including reaching $1.5 billion in Chrysler vehicle sales outside the United States, Canada and Mexico. Chrysler also paid back loans from the U.S. and Canadian governments six years early and exercised options to increase ownership. The new Dart is adapted from the Alfa Romeo Giulietta hatchback. The Dart will be a four-door sedan rather than a hatchback and will debut next Monday at the Detroit auto show. The Dart harkens back to a Dodge sedan of the same name from the 1960s and 1970s. It replaces the Dodge Caliber, which did not sell well and received poor ratings from reviewers such as the influential U.S. magazine, Consumer Reports. The Caliber was made at the same Illinois plant that will now make the Dart.